Larry Crane, editor and founder of Tape Op Magazine, owner of Jackpot! 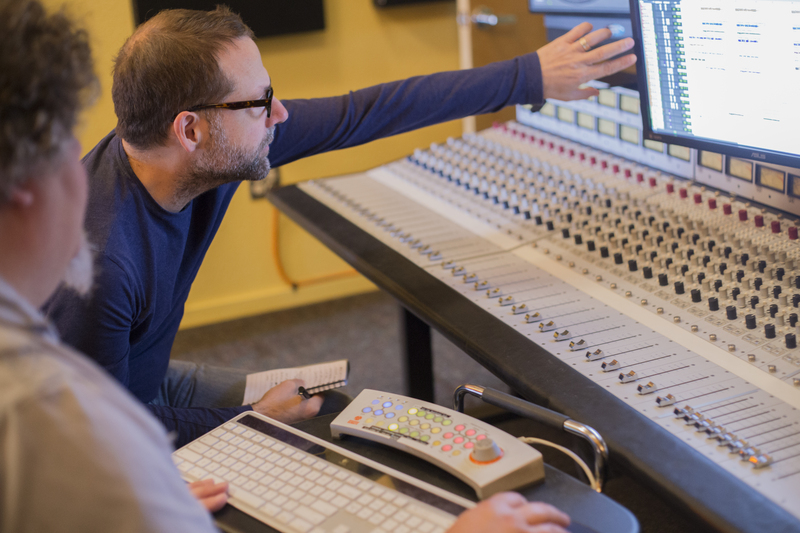 Recording Studio, Archivist for Elliott Smith and a successful producer/engineer with hundreds of albums to his credit is available for personalized, one-on-one instruction for recording engineers, musicians and producers. These seminars are eight hours long (usually 11 am to 7 pm), including a shared lunch break, and cost is $800. A typical day would take place at Jackpot! Recording, in Portland, OR, though tutoring could extend to offsite personal studio spaces in Portland during the day. If you are located in another part of the US (or world) and would like private tutoring there please let us know and we can inform you if Larry will be in your area in the future. For the tracks that you bring to discuss, Larry will talk about what changes could have been implemented in order to increase the recording’s effectiveness. This includes examining overall and specific recording techniques, song arrangement, specific sounds, instrument choices, how sounds work together, and special attention to mixing techniques. Some details will be explained by showing mic’ing and recording techniques. Others will be demonstrated via mixing. Tutoring is geared towards home recordists, beginning engineers, musicians and anyone who wants to further their understanding of the music recording process and improve their results. The goal is to discover simple and effective ways to create better recordings using gear already available. A large part of the workshop will be geared towards breaking down misguided and limiting preconceptions about the recording process. Specific gear that will help the recordist will be discussed as well. If tutoring extends to your personal recording space, we will cover speaker placement, acoustic treatments, recording environments and usage of specific recording recording equipment. Any tracking and mixing demonstrated will be done in Pro Tools, but specific techniques regarding this platform will not be the focus of the workshop. Any skills illustrated will be universally applicable to recording, whether on tape or with a computer. If you want to attend please email Larry Crane to find out dates that are available. A $100 deposit will be required to hold your date. Deposits are not refundable if cancelled 30 days or less before the date requested. The balance ($700) will be due on the tutoring date. Bring digital files of at least 3 songs you have recorded, including a current stereo mix and the raw multitrack files (make sure these are continuous files with the same starting points). Pro Tools sessions can work as well, though many times starting with a new session and raw files is more instructive. Need a place to stay? Curious about food in the Jackpot! Studios neighborhood? See the Jackpot! FAQ page.